The British Homing World Show of the Year; not heard of it? I’ll forgive you. This little-known affair is, for pigeon fanciers across the country, the event of the year. Taking place over the second weekend of January in Blackpool’s Winter Gardens, it is the largest annual gathering of pigeon fanciers in the UK; on average, around 20,000 people flock from all over the world – as far away as China – to exhibit, buy, sell, and admire pigeons. The Show, which recently celebrated its 40th anniversary (BBC News, 2012a [online]), is also becoming increasingly popular with the media, making the BBC News in past years and Channel 4’s Sunday Brunch just yesterday morning. Last year, it even made the news in America (NY Post, 2015 [online])! The weekend of the Show, during the bleak English winter, sees thousands of visitors descend upon Blackpool, contributing an estimated £10 million to Blackpool’s economy (BBC News, 2012b [online]). 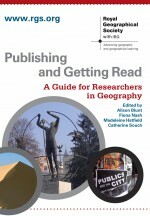 ‘But where’s the geography?’, I hear you say. Pigeon racing, with its careful calculations of distance, and vigilant observation of weather conditions may seem to lend itself more explicitly to the discipline. However, as an animal geographer, I want to bring to light a paper that, whilst over a decade old, is key in revealing how animal showing is inherently geographical. 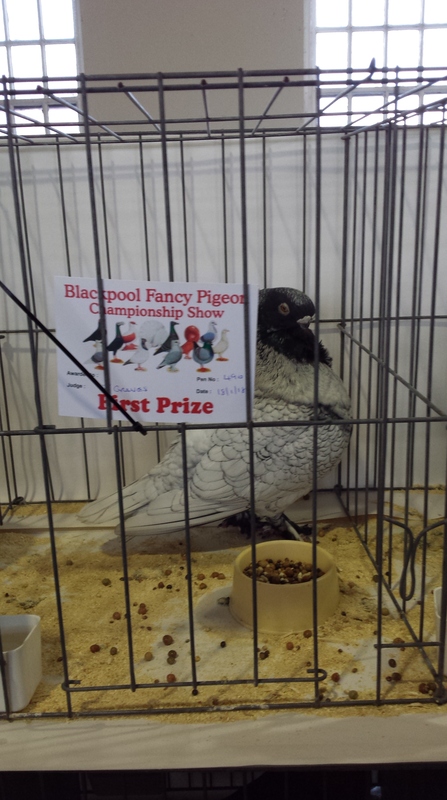 Having visited this and other pigeon shows – not as a fancier but as a researcher – I aim to highlight some of the striking similarities between the British Homing World Show and Anderson’s (2003) paper on Sydney’s Royal Agricultural Show. More than 3,000 domestic pigeons will be on display at the British Homing World Show this coming weekend, which has been described as the ‘Crufts of the pigeon world’. The main attraction is the exhibition of racing pigeons. To the untrained eye they all look the same – well-groomed city-centre pigeons – but it is the subtleties of this hobby that make it so fascinating. The birds are judged on their aesthetic qualities denoting their ability to win races. The whole of the bird is scrutinised, from its wing feathers to its eye colouring. Also on display will be the perhaps lesser-known fancy pigeons. Whilst racing pigeons are athletes bred for functional reasons, fancy pigeons are bred for their aesthetics, many unable to fly long distances. These wonderful birds are all the same species, differing in appearance due to selective breeding and reinforcement of mutations (similar to different pedigree dog breeds). There are over 350 breeds of fancy pigeons, varying in characteristics such as beak, feathering, tail, and body. Is it any wonder that Charles Darwin chose this incredibly diverse bird to aid him in his study of inheritance and variation in The Origin of Species? Like animals on display at a zoo, or specimens in a museum, pigeons are displayed in rows of cages to be objectified, admired, and judged. Some are even removed from their cages, poked and prodded, or made to walk about in their cages, like models in a feathered catwalk. In Anderson’s (2003) historical study of Sydney’s Royal Agricultural Show, she argues that the animals on display reflected human ingenuity and control over nature. The Show – which was deeply underpinned by colonialist thinking – was a celebration of human superiority and performance of civilisation and domestication, which reinforced the nature-culture and human-animal binaries. The same could be said of pigeon shows; the pigeons on display are products of careful selective breeding by fanciers. They emphasise the distinction between man and nature, but, they simultaneously blur it. Animal exhibits – in this case pigeons – become hybrids of human skill, scientific knowledge and ‘nature’. Such displays, Anderson (2003) argues, should be read as texts, in which a subject-object relationship is developed through an anthropocentric gaze. They also, she argues, can be seen as embodied performances. The pigeons on display at this weekend’s British Homing World Show will be both text and performance. The birds are cultural constructions, products of human intervention, but develop into much more than mere objects. 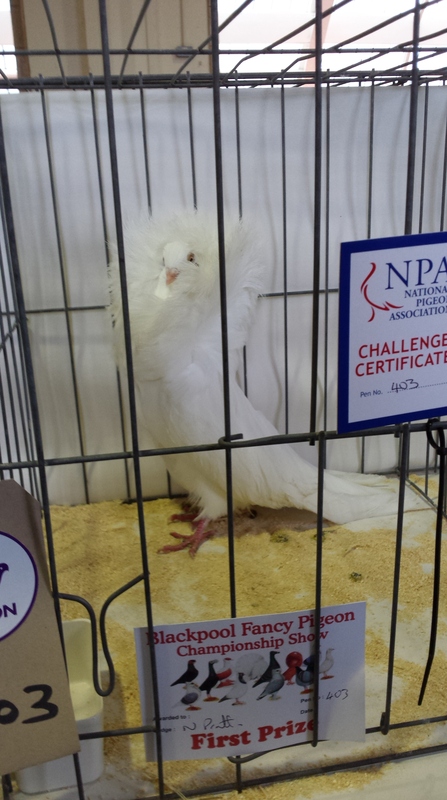 Successful pigeon fanciers at this prestigious show win not only a rosettes, trophies, and money, but also prestige. For fanciers, their birds are a ticket to a better social standing among their peers, a reputation dependent on the aesthetic performances of their feathered co-workers. 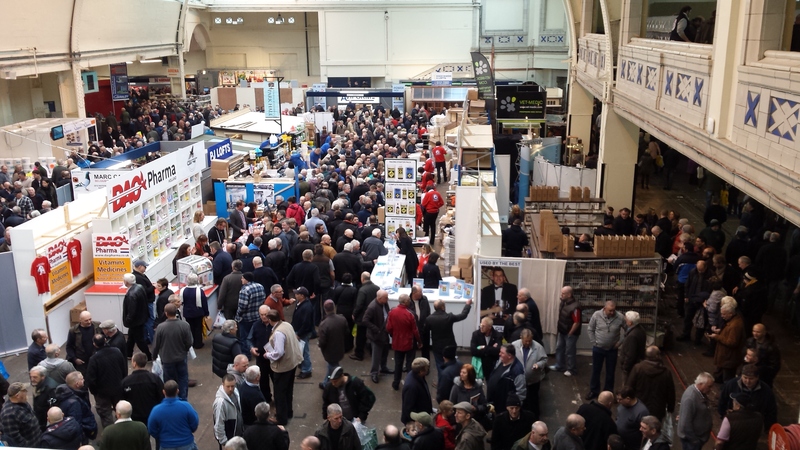 Of course, exhibitions and sales of machinery are also prominent features at agricultural shows. Anderson (2003) argues that those at the Sydney Agricultural Show reflected strong notions of modernity and advancement, further stressing human mastery over nature. The British Homing World Show of the Year also features exhibitions of pigeon appliances and trade stands. There are stands selling everything from £20,000 pigeon lofts and high-tech race timing technology, to nest boxes, food, and vitamin supplements. Birds are also on sale, transported rather indignantly in cardboard boxes marked ‘LIVE BIRDS’. Whilst there are stands selling birds at ‘affordable’ prices (maybe as much as £40 per bird), at the auction birds are sold for thousands of pounds! Both academic and activist would have a field day with the ethical and moral issues raised by such judgements of animal value. So that’s the British Homing World Show of the Year and a snapshot into the subculture of pigeon fancying. Yet more proof that geography is lurking in everything. If only more people knew about this fascinating pastime, it would surely go a long way towards alleviating that tiresome ‘rats with wings’ metaphor that burdens the domestic pigeon’s feral cousins. Anderson, K. (2003). “White Natures: Sydney’s Royal Agricultural Show in Post-Humanist Perspective” Transactions of the Institute of British Geographers, 28(4): 422-441. This entry was posted in Transactions of the Institute of British Geographers and tagged Agricultural shows, Animal aesthetics, animal geography, Animal showing, Animal value, animals, Anthropocentrism, Human-animal binary, Human-animal relationships, Hybrids, Nature-culture binary, Pigeons on January 11, 2016 by k8amongthepigeons.